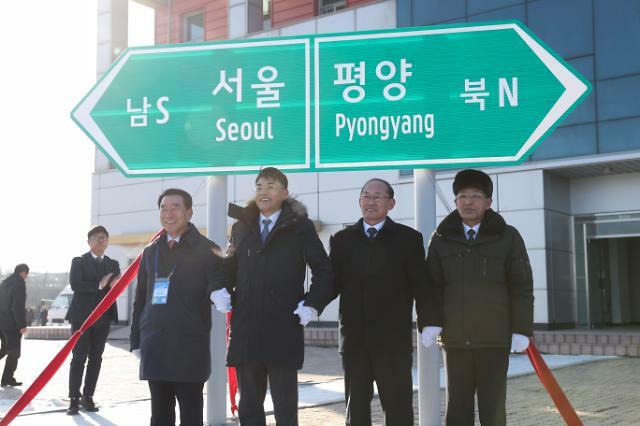 SEOUL -- North Korea called for an unswerving principle in a symbolic groundbreaking ceremony to connect severed inter-Korean roads and railways, saying the speed of progress would depend on the "will and timetable" of the two Koreas. The ceremonial event Wednesday at a North Korean station near the suspended inter-Korean industrial zone in Kaesong just north of the border was attended by some 100 people from each side, including officials from the United Nations, Russia, China and Mongolia. 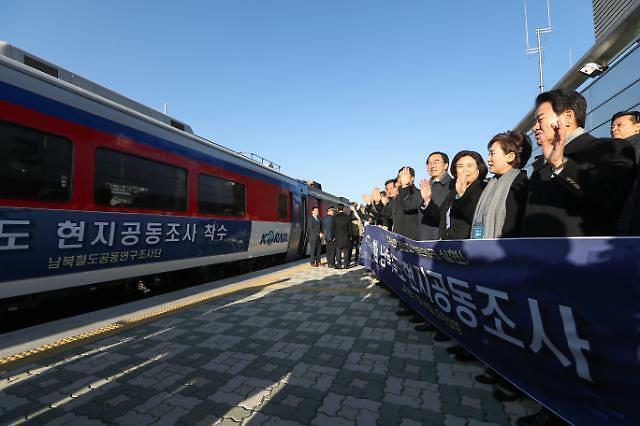 "It is time for us to go straight on without being shaken by the wind," Vice Railway Minister Kim Yun-hyok, who lead the North Korean delegation, said in a speech. At the ceremony, both sides unveiled a new signboard and linked tracks. 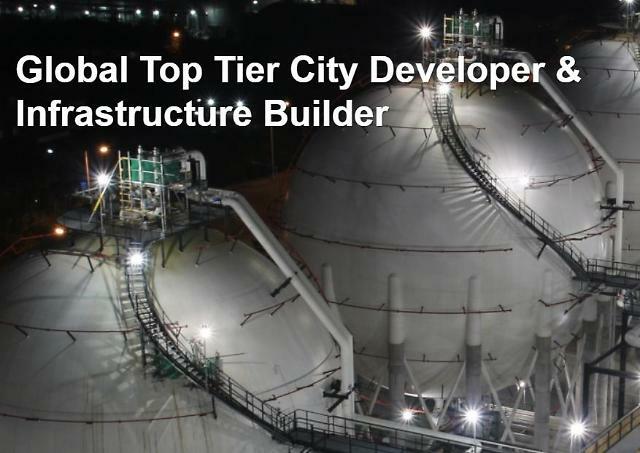 South Korea's transport minister, Kim Hyun-mee, took a cautious approach, saying the two Koreas can move on to actual construction if they make efforts to create a favorable international atmosphere. "In order to start construction of railways and roads in earnest, we need a more detailed investigation and design," she said. 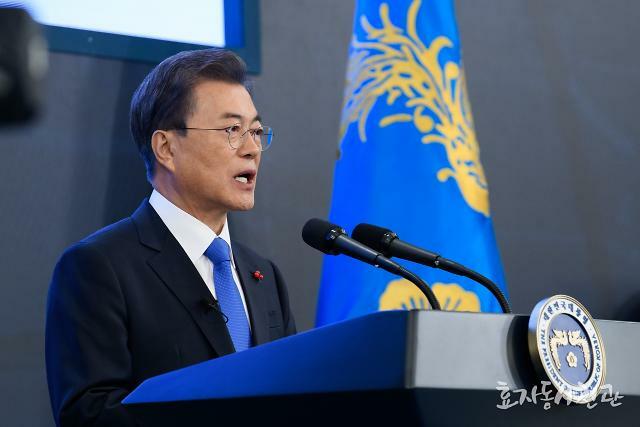 The project to reconnect the inter-Korean transport artery and modernize North Korea's outdated infrastructure was agreed at a summit in April between South Korean President Moon Jae-in and North Korean leader Kim Jong-un. There would be no actual work to implement the project as Pyongyang has yet to resolve a standoff with the United States over how to achieve denuclearization. Establishing railway lines running across the Korean peninsula to link with a Eurasia railway project has been a long-cherished idea conceived by South Korean political leaders in their bid to crack open North Korea. The two Koreas opened an inter-Korean industrial zone in Kaesong just north of the border in December 2004 as well as cross-border roads and rail tracks. Originally, the cross-border line was to be extended to Pyongyang and the northwestern border city of Sinuiju, or even to China's railway system, but North Korea has refused to cooperate due to high military tensions.